Whether this conversation actually took place is not the point. It’s so believable because it’s so logical. 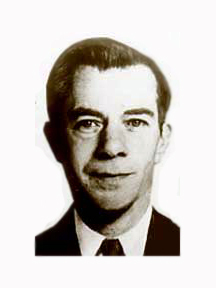 Today, I find myself comparing Willie Sutton and the Republican Presidential candidate Mitt Romney. He’s spent most of his campaign attacking wasteful federal spending, even though he himself has partaken from that same federal troth. When he lead Bain Capital, a highly profitable private equity investment firm, he earned millions and took full advantage of the tax codes to multiply his money. He’s even had accounts in the The Cayman Islands, Switzerland, and Bermuda. Hey, that’s legal, isn’t it? Did you hear how he single-handedly saved the troubled 2002 Salt Lake City Winter Olympic games? Okay, single-handedly isn’t exactly correct because he gathered his team and milked every penny from the federal government he could. Some of his methods seemed a bit cold, but that’s up to interpretation, I guess. But these pennies stacked up to be $410 million. Not bad, huh? His answer would be quite interesting. Yeah, Mitt Romney: Willie Sutton in a corporate suit, just a few electoral votes from the presidency.